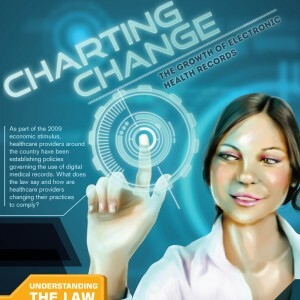 As part of the 2009 economic stimulus, healthcare providers around the country have been establishing policies governing the use of digital medical records. What does the law say and how are healthcare providers changing their practices to comply? They’ve had five years to begin implementing digital records; how are hospitals doing in fulfilling the government’s mandates? What about office-based physicians? What progress have they made in the past half-decade?